Our landscape is dotted with decisions, that although wildly unpopular at the time turned out to be great in retrospect. For example, Will Smith turned down a chance to attend M.I.T to focus on his music, becoming a millionaire before his 19th birthday. In 1997, C.E.O Gil Amelio was fired, paving the way for Steve Jobs to return to Apple. Not surprisingly, Jobs was unceremoniously booed at a speech he gave in Boston's Park Plaza Castle as Apple’s newly minted chief executive. However, by 2011, boos were replaced by praise for a man who had brought Apple’s annual sales well north of $100 billion, and introduced such revolutionary products as the I-pod, I-Phone, and I-Pad. Other unpopular decisions may not net their makers fame and fortune. They can, however, change society for the better. 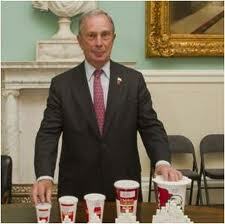 For example, New York City Mayor Michael Bloomberg, right, recently proposed a soda ban. He did so with an aim toward curbing drastically rising obesity rates and their deleterious effects. Not surprisingly, many New Yorkers and industry people criticized the proposal, blasting Bloomberg for taking away “their right to choose”. The beverage industry has repeatedly clashed with the city’s health department, claiming that it has unfairly singled out soda. Since junk food and sugary drinks have little nutritional value and are calorically dense, leading to obesity and a host of medical problems. It makes sense that removal of them from your diet would result in healthier weights for you and your loved ones. 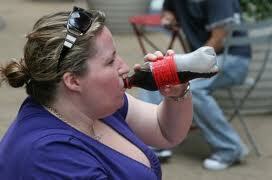 Clearly, Mayor Bloomberg is onto something with his soda ban proposal. Still, people argue about protecting their right to choose what they want to eat and drink and serve to their unsuspecting children. They argue that they should be allowed to choose foods that not only make them fatter, but also pose tremendous health risks that affect us all. According to them, choice should reign supreme. However, when deprived of these “choices”, people’s weights are at healthier levels. Sugary drinks and junk food have very little nutritional value and are calorically dense, therefore it makes sense that removal of them from your diet would result in healthier weight. Healthy weight reduces rates of diabetes and heart disease. This increases longevity AND improves the quality of life, for you and your loved ones. Who can argue that this isn’t a good thing? A diagnosis of breast cancer affects more than just the patient. When someone we love is diagnosed, we all are affected. Families work doubly hard to keep homes running smoothly while their loved one goes through treatment. Businesses struggle, not only to support their coworker, but also to fill the gaps in productivity. Breast cancer doesn’t care – so we have to care! A big part of being human is to care about the state of our world, and to take steps to make it a better place. We are charged with the task of doing tikkun olam, or repairing the world. I am proud to share in humanity’s responsibility to heal, repair and transform the world. So, on September 9, 2012, I will join thousands of others playing a part in the annual Komen Greater NYC Race for the Cure. Please make a donation on my behalf, and consider joining my team to run with me. You will be supporting local breast cancer screening, treatment, education and outreach along with national peer-reviewed research programs that will lead us to the cure. My goal is to raise $5000 this year. Please help me reach that goal with your financial support. Whether you donate $5 or $500, each gift from you, your family, and friends is greatly appreciated and helps in the fight to eradicate breast cancer. Please make your check payable to: Komen Greater NYC/Race and add my name in the memo so that I will be credited for your donation. Today we’re spending some time with Catherine Piot, devoted family woman, celebrity trainer, gymnastics coach, nutritionist, and author of the “Transforming Your Body after 40”. You wear a lot of hats and you certainly have a lot on your plate. Thank you for sharing your time and expertise. Thank you. I am excited about the opportunity to share with your readers. You are the owner and founder of the Catherine Piot institute. What is it that you do? At the Catherine Piot institute, we provide athletic coaching, private fitness training, boot camps, weight training, group fitness classes, weight loss programs and nutrition education. We are a one stop shop for all of your fitness needs. Now, that it’s summer, so many people are more concerned with how they look and how they are going to lose weight. Some experts say it’s best to do cardio, others advocate for traditional weight training. What’s your take on the best way to loss weight? I am a big believer of circuit training. It is one of my top recommendations for a healthy way to lose weight and keep it off. It’s also a great way to tone and firm your body at the same time. Can you briefly describe what circuit training is? Circuit training involves doing several selected exercises with no rest in between. You only get a quick break when you finish the routine. You can repeat 2-3 times before moving on to the next circuit. So, what’s the difference circuit training, cardio training, and weight training? Circuit training can be seen as a combination of both traditional weight training and cardio training. You can include the same kinds of exercises that you typically do with free weights or barbells, but with a lighter weight than you would normally use. For example, if you normally do dumbbell squats with 50 pounds, you use 25 pounds for circuits. You can also include cardio movements like rope jumping, jumps and sprints that make your workout much more intense. You can usually finish a workout in 45 minutes or less. Your circuits can be as long as you want, but since this is an intense workout, 2-4 exercises will be enough. You can repeat each circuit 3-5 times before moving on to the next circuit. Alternatively, you can do one circuit 5-6 times. It is, and that's the beauty of circuit training. Its high intensity, which includes short, intensive aerobic kinds of exercises, is very effective for fat loss. In other words, you burn fat faster than with any other workout. Okay, take us through a circuit training workout that you or your clients would do. OK, grab a pair of dumbbells and a jump rope. It's time to rock and roll! For our first circuit, we're going to do push-ups, high knees, shoulder presses, and jump rope. Each exercise is to be done for 30 seconds, completing as many repetitions as possible. If you are really struggling, then cut the time for each exercise down to 20 seconds. Once you have completed the entire circuit, take a brief break (90s - 2mins), and then repeat the circuit two more times. For the second circuit, we're going to do dumbbell squats, jumping jacks, alternating reverse lunges, and jump squats. Complete the second circuit the same way as the first. If I do circuit training, does that mean that I can I skip all other cardio? By no means am I suggesting that you eliminate more traditional forms of cardio / fat loss exercises like treadmills, stair masters, or elliptical machines. However, circuit training offers more bang for your buck, especially when you have a limited amount of time to workout. Let's get started now and transform your body! Ms. Piot has over 20 years experience working in the field of sports, and is the founder and owner of the Catherine Piot Institute. She has helped people, from athletes to lawyers, achieve their fitness and weight loss goals. For more information, or to contact her, go to http://www.catherinepiot.com.